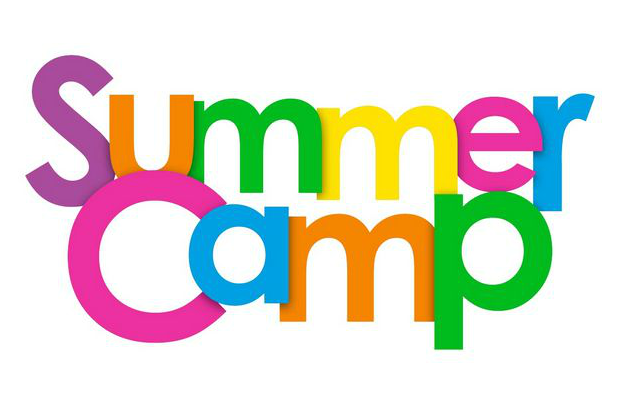 PerformCare and DDD are now accepting requests for summer camp funding. Our new website is up and ready! 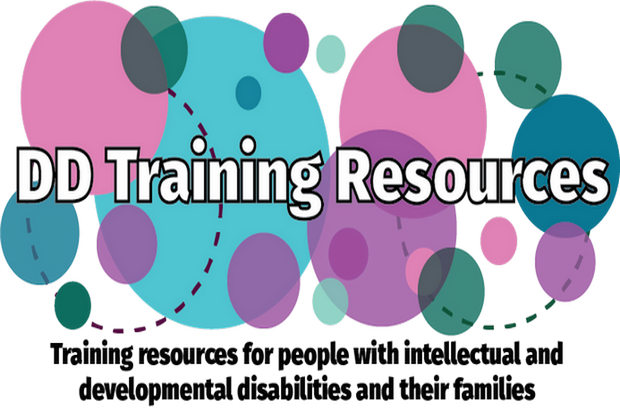 Our new site provides a wide range of information about trainings and support resources for individuals with intellectual and developmental disabilities and their families throughout the State of New Jersey. 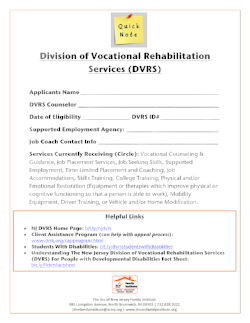 Calling all college prospects with intellectual or developmental disabilities, and their families. 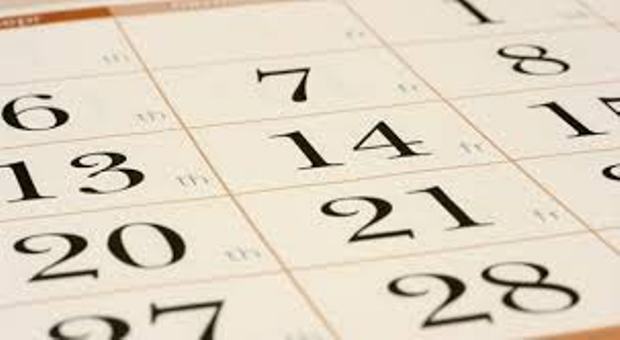 Save the Date and mark your calendar for these upcoming events. 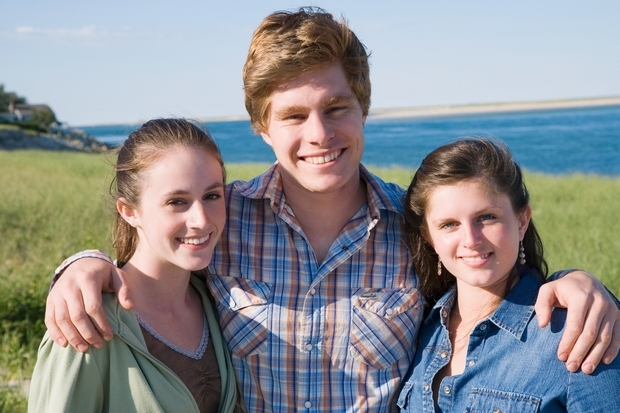 The role of brothers or sisters in the life of a person with an intellectual and developmental disability (I/DD) is as complex as it is meaningful. The Go Bag was created to help you be the best ADVOCATE you can be for your family. 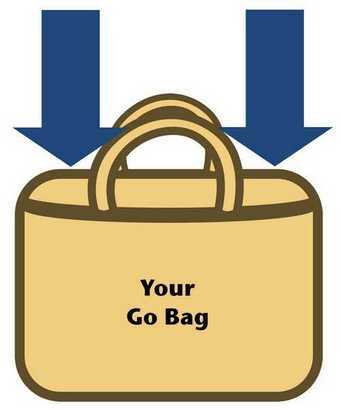 A Go Bag is simply a collection of necessary resources about a specific topic. The topics will vary but the message is the same. Be Prepared! 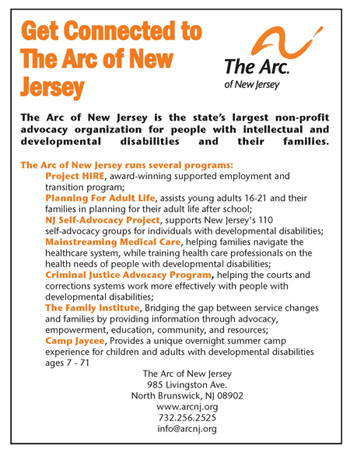 The Arc of New Jersey Family Institute provides information about the best way to navigate the service delivery system and its changes. 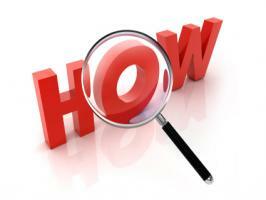 We do this through seminars, workshops, webinars, podcasts, how-to-guides and fact sheets. What's The Family Institute Reading This Month. 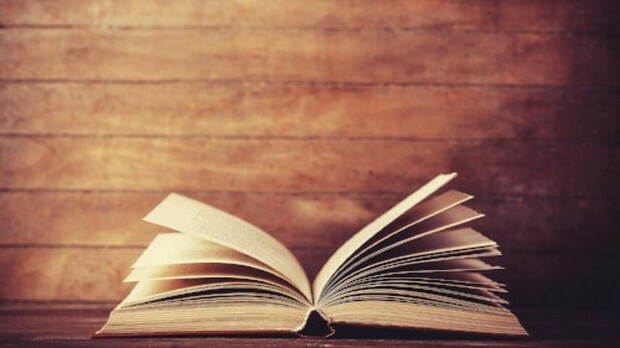 . .
Our Book of the Month Club is a great way to discover and read the best books meant to help support you and and your loved one with an intellectual and developmental disability. The Arc of New Jersey Family Institute is dedicated to helping families navigate the system of care. This web page was created to help families find the necessary information they need to make managing their child’s journey a little easier. 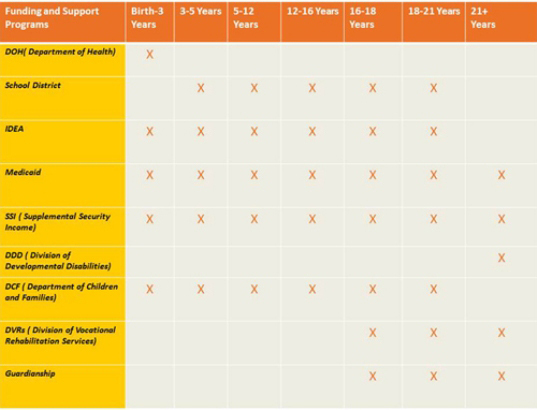 Here you will find a list of support programs and funding by age and an explanation of services. The Arc of New Jersey Family Institute is dedicated to providing the resources and referrals necessary to navigate through the system of care. We provide timely information and work to bridge the gap between service changes and families. Missed an email? Catch up by clicking the picture below. Click the picture above to view. 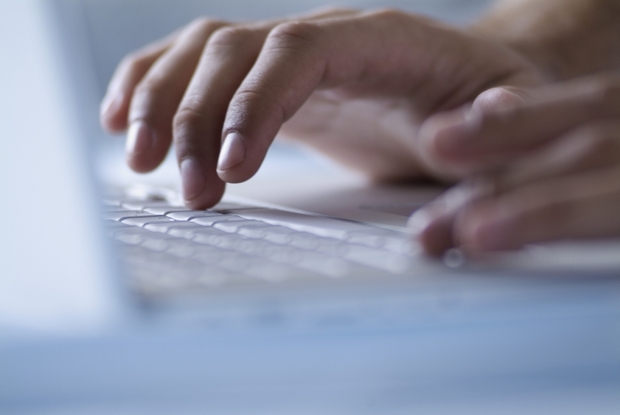 Trouble Accessing Services? 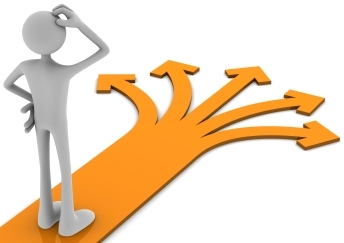 Let us help you find your way! Click the picture below for more information. Do you shop on Amazon.com? 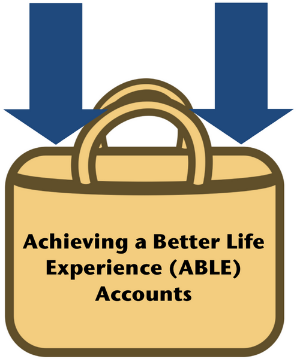 Now those shopping trips can benefit your favorite charitable organization! 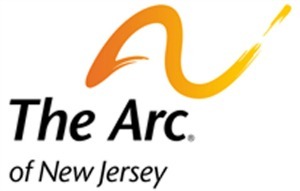 Log on to www.smile.amazon.com, and chose "The Arc of New Jersey Inc." as your charity of choice and Amazon.com will donate a portion of your purchase price to us, at no extra cost to you. When a child (age 21 and under) is facing challenges to their functioning and well-being, finding the right services and support can be overwhelming. PerformCare is committed to helping you access the right services for your child. An Individualized Education Plan is a written document that describes the education plan for a student with an intellectual and/or a developmental disability. The IEP is the foundation for a child's education. The IEP lists the special education an individual will receive based upon their needs. 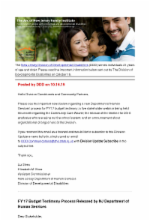 It's important that student's and their family members understand what's written in the IEP and that they take an active role in developing this document. The parent-teacher conference is a good time to take the pulse of your child’s progress. 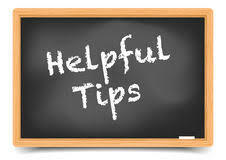 But you can also check in regularly to make sure your child’s IEP is being followed. Share any concerns based on what you’re seeing at home. If your child spends most of his time in the general education classroom, his teacher will know if he’s being pulled out of class to work with special educators as promised in his IEP. We wore our jeans with a purpose to raise money to help support the quality of life for individuals affected by 22q11.2 Syndrome and donated to The International 22q11.2 Foundation Inc.
Each month The Arc of New Jersey Family Institute spotlights a different developmental disability to help build awareness and educate others about the disability. Learn more HERE. 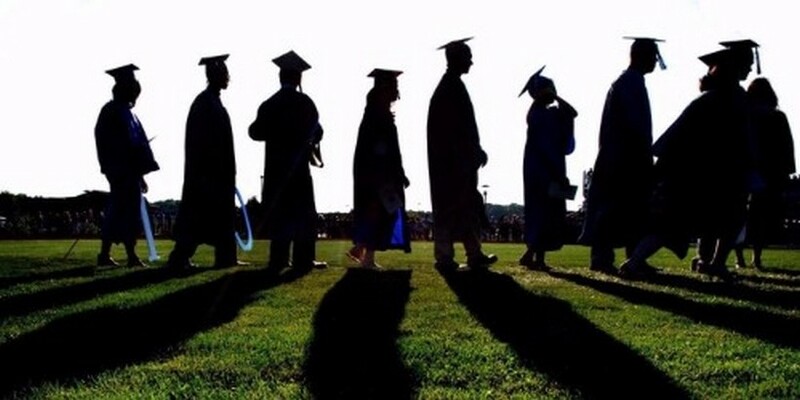 Please note that all new graduates born after January 1, 1997, must go through the full DDD intake process—including the completion and submission of the DDD Intake Application and supporting documentation—to ensure eligibility. Join the Coalition for a Direct Support Professional Living Wage Today! Your support for The Arc of New Jersey Family Institute will ensure that this vital program will continue to help the thousands of New Jersey families struggling to care for their loved one with intellectual and developmental disabilities. Gifts of any amount are urgently needed.... because every gift is a statement - a statement of your commitment to supporting families in need now and for the future. 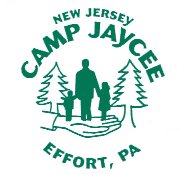 Each month The Arc of New Jersey Family Institute spotlights a different developmental disability to help build awareness and educate others about the disorder. 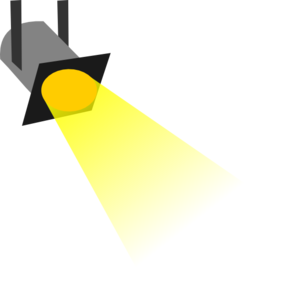 Click below to learn more about this month's spotlight and resources that are available to help. 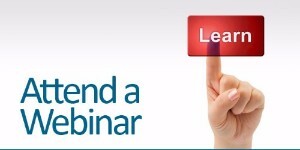 Register for This Month's Free Webinar. . .
Download Your Quick Notes and Get Organized Today! 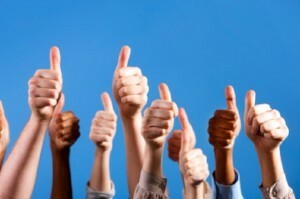 Thumbs Up For The Month of February!